Welcome to Ruminations! 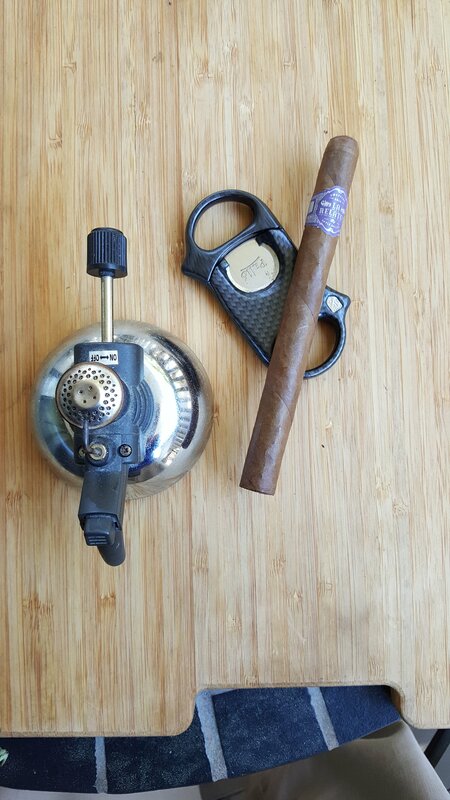 A writing exercise combining various present hobbies (cigars and rum) along side that which keeps me intellectually exercised, philosophy. Somewhere on your screen is a MENU. The menu consists of categories and articles under them. You can use these to navigate to articles of interest. In the interest of convenience however, I present here a list of the categories as links you can use. If you click on a link you will see all the articles under that category. They are always arranged in reverse date order (latest on top). Some articles are multi-part. 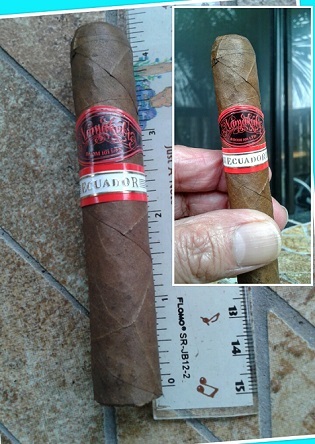 If you see a “part II” scroll a bit further down to find the part I.
Cigar Reviews: One of my present hobbies (I have had many). 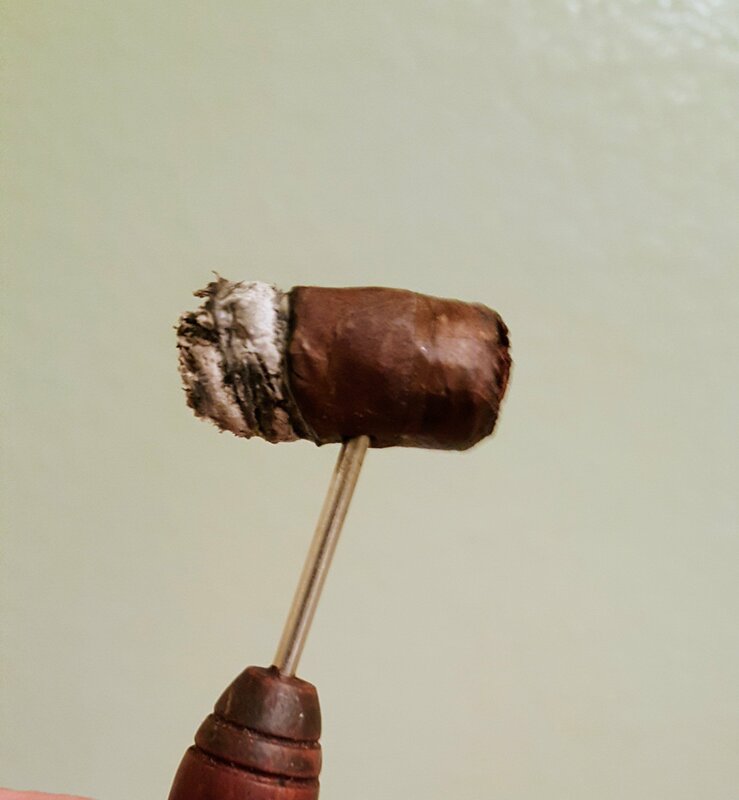 There are many reviews here focused mostly on affordable cigars (under $10). There are a surprising number of very excellent cigars in the single digit price range. 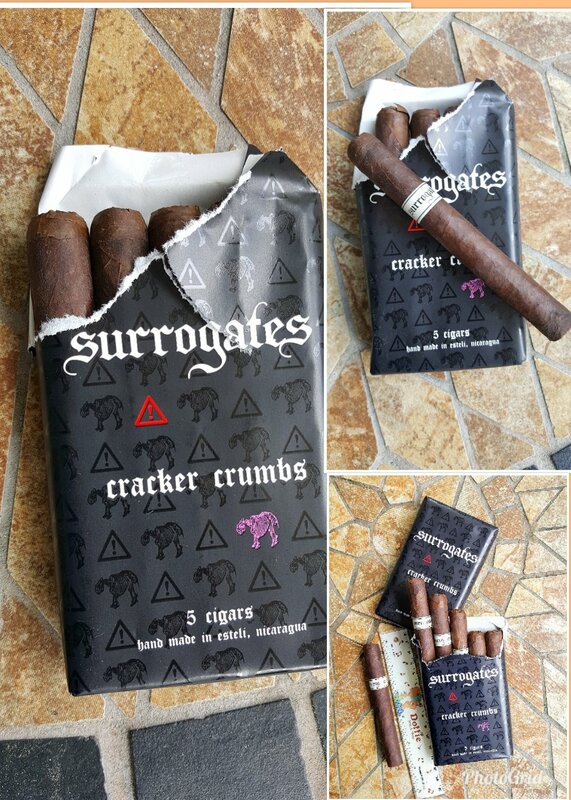 General Cigar Articles: About cigars and associated products. Covers “care and feeding” of a cigar collection. 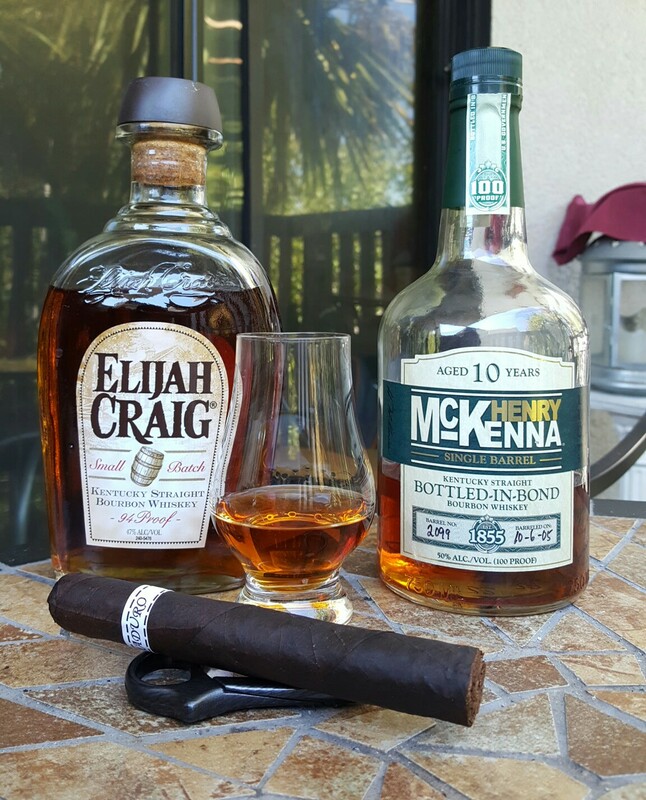 Rum Reviews: A hobby enhancing my enjoyment of cigars. Many reviews. 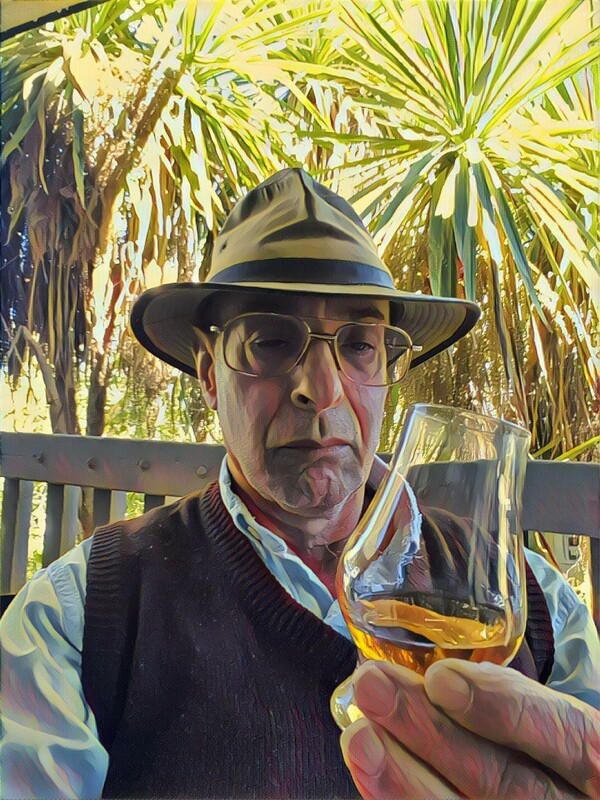 Bourbon Reviews: A couple of reviews here. A few non-rum related pairing options. Some of these I haven’t touched in years. 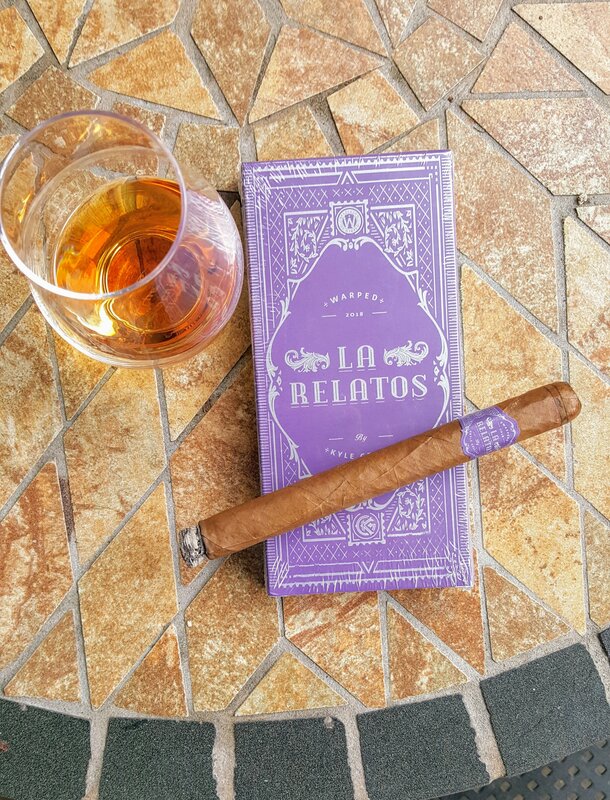 General Spirit Articles: Pairing drink with cigars. Hope you enjoy. 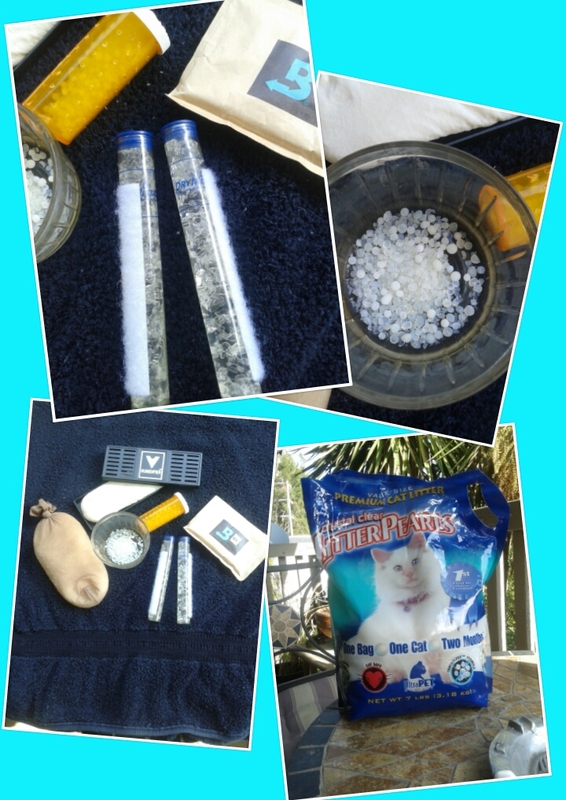 I continue to add to the blog in all categories. Hope you will like and/or comment. From the distiller review (linked here with a nice “flavor profile” chart) you can see that there are a lot of different rums in this blend. El Dorado rums are sweetened. Sugar tests (link to test results on rumproject) put the value at about 30 g/l on the sweet side. This was always a favorite to which I returned time and time again, but in the last couple of years I’ve gravitated to un-sugared rums. Recently I realized I’ve never formally reviewed this rum, a big lacuna in my review collection. I determined to pick up a bottle and correct this omission. I also wondered what I would think of a sugared rum after more than a year of exposure only to the non-sweetened variety. Color: Medium dark, mahogany, copper red highlights in the light. Legs: Quick, medium legs when swirled. Aroma: Dark fruit. Prune, raisin, dried apricot, chocolate, burnt brown sugar, treachle, little alcohol. Not an overwhelming aroma breathed deeply, but that thanks to the lower-end ABV. Still it is plenty rich. 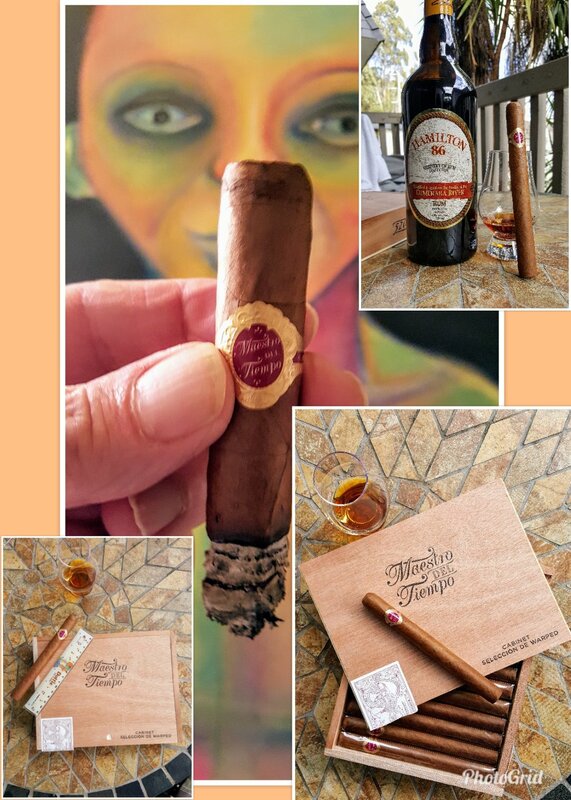 Flavors and mouth: Dark brown sugar, creaminess, mild fire (very smooth, the ABV again and the sugar), with vanilla, raisin, tobacco, oak, burnt coffee, a long sweet brown sugar and molasses finish. I used to detect a little funk in this rum, something that cut its sweetness, Now, having had far funkier rums (too many frankly), I can not find the funk in here. Still, despite being more sweet than I’m used to now, the rum is delicious and never comes across as “over sweet”. There is enough oak and other flavors to present a complex profile with much more to enjoy than the sweetness alone. The El Dorado rums come in a variety of age declarations. That I know of there are 8, 12, 15, 21, and 25 year versions. 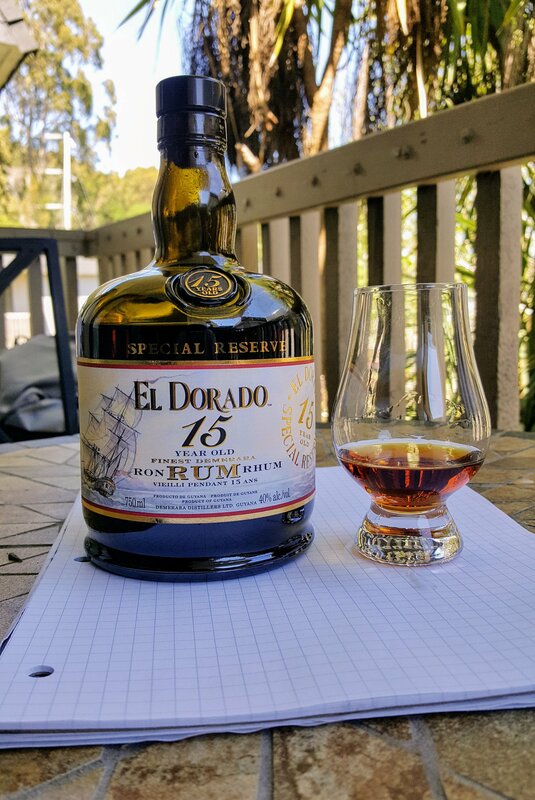 Unlike most other producers (many makers have abandoned age statements altogether) the El Dorado age statement on the label represents the youngest rum in the blend! I have had the 12, 15, and 21 year offerings. The 12 is more fruity, a bit less complex, and seems sweeter than the 15. The 21 is richer and more complex (its also $100/bottle), but me thinks overmuch. I think the 15-year really hits the sweet spot (no pun intended) between them. Inu A Kena (see his review) disagrees with me, but that is, after all, what makes a horse race. 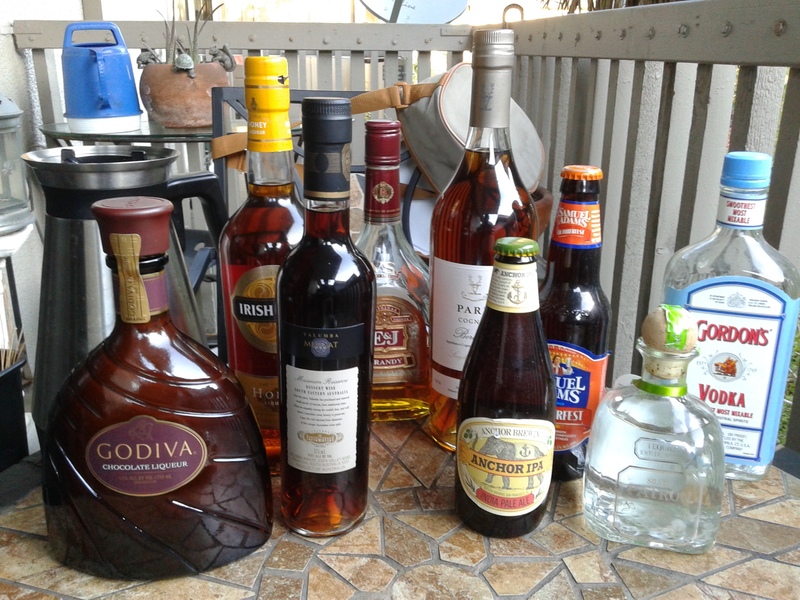 When it comes to taste in rums, like other distilled alcohol some tastes go one way and some go another. 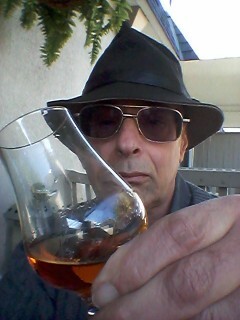 But I have yet to meet a rum aficionado who does not like El Dorado 15. Highly recommended at least once if you can afford it! 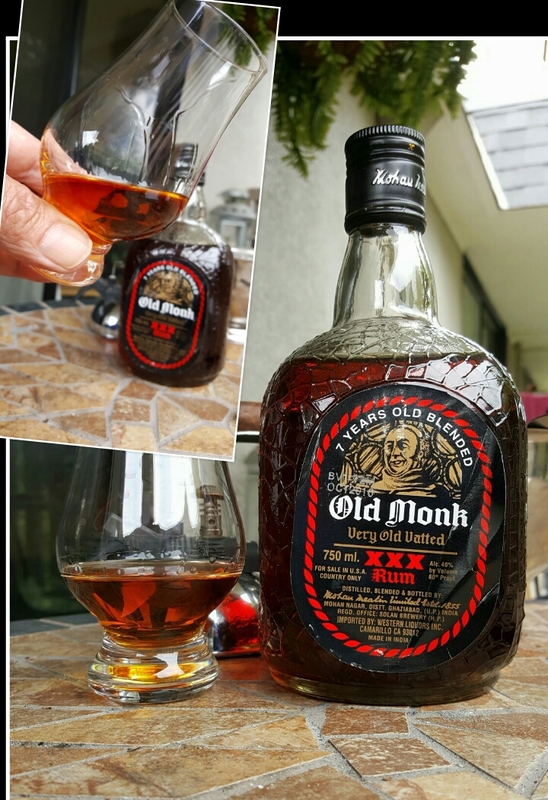 Here is one more review from my friend the Fat Rum Pirate. There are three books reviewed here along with links (in their titles) to the books on Amazon. All three of the reviews are also (and first) posted on Amazon. My reader might wonder why I chose to assemble these three together. The first two are pretty obvious. They are both about the present “world order”, the relation between nations and other entities with global impact. The third book is not about the world order but rather about its systematic undermining. When intelligent and fair-minded people look at what is happening in the world one cannot help but want to improve things, to smooth out conflict, keep commodity prices stable and supplies reliable, insure that people have enough to eat and clean water to drink, and so on. Nations and other actors, in effort to improve the situation for themselves and sometimes for others, instead, make things worse. But why would anyone want, deliberately, to make things worse? No sane person would, and yet with the election of Donald Trump thanks in large part to the efforts of Steve Bannon that is precisely what is now happening. The government of the United States appears to be deliberately destabilizing the global system. Why this should be is a good question, one I hope here to answer. To say the world situation today is precarious would surely not meet with much disagreement no matter which end of the political or social spectrum you happen to inhabit. 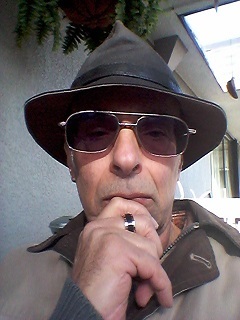 Indeed one could argue that the world situation has been precarious for one reason or another throughout human history. But we are privileged to be living in a particularly dangerous time, and at root, population and energy access (the latter tied directly to the wealth disparity problem) are the main demographic and economic drivers of the problem. The world population continues to rise at a dangerous pace dividing the resource pie into ever smaller pieces. Yet rising populations, today all in Africa, South, and Central America are only part of the problem. In every continent other than the two just named, populations are aging and declining. Most of these are the more advanced industrial and post industrial societies on earth. Ironically, the social saftey nets for a growing cohort of elderly people in these places all depend implicitly on an also growing cohort of working age people to support them. One cannot of course have it both ways. Both cohorts cannot, together, grow indefinitely. Dr. Kissinger’s book focuses mostly on nations. His aim is to rationalize foreign policy by, among other things, making us realize that not all nations are “like us” in wanting the same things for their peoples. 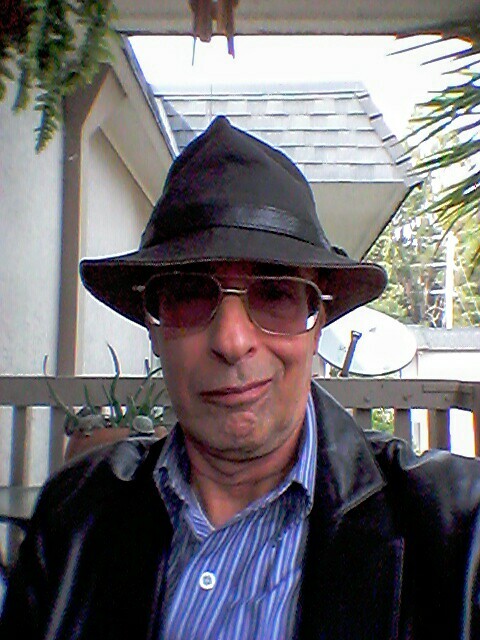 He wants especially to hammer home this truth over the American tendency to idealize every international relation. Dr. Haass also recognize this fundamental difference in national interests and how their own governments view them, but he broadens his view of the pertinent actors to include non-governmental organizations both secular and religious, a role for cities, and regional resource issues: water scarcity, mineral and energy availability, climate change, and the wealth gap. Both authors address non-state-actor terrorism corroding international relations the present and future impact of technology, and changing world demographics. Both men are, however, broadly on the same page. The trend over the last 40 years toward an integrated global economy is not enough by itself to smooth over the frictions of international relations, but it gives everyone a stake in the process of keeping the whole afloat. We cannot go backwards. First because we cannot return the world to the way it was as concerns populations, the distribution of industrial activity, and so on anyway. Too much has changed. Second, even a nuanced attempt to turn back the clock will result in huge economic dislocations everywhere and a general increase in everyone’s costs. In 1970 the “Chinese supply chain” feeding into American products hardly existed. Even if one could bring these sorts of jobs back into the United States, the people who hold the jobs in China, Vietnam, or Bangladesh (now hundreds of millions more of them than 50 years past) are not going to just go away. What makes “The Devil’s Bargain” of interest here is that in the character of Steve Bannon is an agent bound and set to doing just this, dismantling the existing international economic system and not in any nuanced way either. Bannon wants to “burn it all down”. “Devil’s Bargain” is not a foreign policy or international affairs book like the first two. In today’s world there are people who understand that such policies will hurt millions and yet deliberately set out to do it. It illustrates how much damage can be done (it is only beginning) in a short time and how such damage degrades the prospects of many while enriching a few. A few chemicals properly mixed and put in the right place can bring down a bridge, building, or airplane. It turns out that a few people in powerful political positions, reinforcing one another’s desire to destroy those they hate, whether for petty revenge or self aggrandizement, can quickly unravel that which has (mostly) held our peace and economy together now for three generations. What ties “Devil’s Bargain” in with the other two books is its illustration of the systematic undoing of what the first two authors take to be the only approach to maintaining peace and raising standards of living on a crowded planet. It is almost as if Bannon, reading Haass, decided to systematically do the opposite of his recommendations. Of course Bannon’s distaste for a global order in which the United States is not the sole power able to do what it wishes was settled long before Haass wrote his book. Trump was not Bannon’s first attempt to put in place a figurehead who would cater to his bigotry. He began with the “Tea Party” and Sarah Palin. But Trump proved to be the key to the political organization of the extreme right and Bannon knew an opportunity when he saw one. The book ends with Bannon’s firing less than a hundred days into the Trump administration. But Bannon chose well. Trump shares his various bigotries and did, after all, win the election. Trump is most surely continuing along a course that Bannon, if he did not set it in detail, still very much approves. The philosophical angle here is postmodernism. “Devil’s Bargain” illustrates that lies can over power truth when a large political cohort believes that “the truth” is whatever they say it is. There is nothing historically new here. Hitler did very much the same thing as Bannon (Goebbels being “Hitler’s Bannon”) to win his election in 1932. Postmodernism may have been named in the latter part of the 20th century, but its roots go back as far as Pilate. But truth does matter. A global system built on lies cannot stand for long. We are witnessing now its accellerated destabilization. Most of us will not survive it. Richard Haass did not reach the heights of power of a Henry Kissinger (World Order) but his work over several administrations at the State Department and other institutions, presently the president of the Council on Foreign Relations, give him as much exposure to the process of policy making and the demands of the international environment, if not the gravitas to have his ideas seriously considered, as the Secretary of State. Dr. Haass here writes from much experience. His view of the world situation is well nuanced, enough so that he knows there are problems in many places and on many levels. Some have no realistic hope of resolution any time soon. In broad outline this book is like that of Dr. Kissinger’s. Dr. Haass begins with a broad review of how we got where we are beginning as so many of these books do with the Treaty of Westphalia in the mid 17th Century. But Haass quickly breaks things down into small chunks encompassing not only the world’s regions and nations in those regions but multiple factors cutting across those divisions. Culture, history, geography, technology, economics, identity politics, human migrations, income disparity, demographics, education, trade, and more are all examined singularly and with regard to their interacting impacts. Haass appears to understand both the central importance of the United States (the world’s largest single economic and military power), and the limits of even an “engaged America” on the trajectory of world affairs. Dr. Kissinger made broad recommendations and so does Dr. Haass. In fact the two men are very much in line with one another broadly speaking. But Dr. Haass also makes numerous specific recommendations some going some way towards resolving issues, others merely managing the presently unresolveable. His recommendations are all thoughtfully helpful. Some are broad, some very narrow, all difficult to achieve in the present world. Haass’ politics appears to be a little more conservative than mine. On the subject of income disparity for example he says that [absurd] concentrations of wealth are not in themselves bad, the problem rather is that there are too many people with too little. It’s hard to argue with the last part, but for some reason he does not connect up the impossibility of spreading the wealth as long as so few individuals and corporations hoard (and he admits hide) most of it. On the whole he and I agree, cooperation is, barring gross violations of human dignity, better than competition and conflict. His recommendations are mostly common sense. If any half of his recommendations were to be implemented I’m sure the world would be a better place. The chance that even some half of them will come to any fruition however is almost zero. Even before the election of Donald Trump. This book was published in January 2017 just prior to Trump’s inauguration. Even then, the global situation was deteriorating (had been for some years) with competition more and more coming to replace cooperation. My Kindle edition (not sure of the other formats) has, in addition an afterword written some ten months into Trump’s presidency. As Haass ticks off Trump’s policy implementations the reader cannot help but note that not only are things getting worse but now at an accelerated rate, and not only globally, but also inside the United States. Trump is undoing even that which, however imperfectly, was helpful prior to his election. With almost 9 billion people on the Earth, “globalism is not a choice, but a fact”. We will not survive without major conflict for much longer under the present global effort to dismantle it. The book is a good and comprehensive take on what should be done, what must be done, and what America could do to stave off disaster. Not only are we not going in the right direction, we are very much deliberately going in the wrong one. Surely there are few people in the world more qualified to write a book about geopolitics, present or historical, than Henry Kissinger. For a time of some 20 years he was directly involved in the decisions of American presidents on this very subject. Taking a broader view, Dr. Kissinger is involved in his subject (as I understand it even speaking to D. Trump since his election) even today and going back some 50 or more years! Without being too long, the book surveys the history of historical political orders in Asia, the Middle East, Africa, South America and Europe both Eastern and Western. He pays particular attention to the European “Peace of Westphalia” following the 30-years war in 1648. There is a theme here. Though there have been many European wars (and revolutions) since the 17th century they all occurred in a Westphalian context. Sometimes the context is respected, and sometimes violated, but even in the latter case, the peace process following the wars has either returned to a Wesphalian context and been, at least for a substantial time, successful in preserving the peace, or it ignored and violated that context leading rapidly to another war. The Marshall Plan following WWII an example of a return to Westphalian principles also the preservation of the French State after the depredations of Napoleon. By contrast, in contravention of those principles, French and English retribution against Germany following WWI resulted rather rapidly in WWII. Kissinger’s focus on Westphalia sets up the problems he sees with Europe’s and America’s relation to the rest of the world. From the Western vantage point we look out on a world of nation-states and think to ourselves that as different as Asia, the Middle East, and Sub-Saharan Africa might be, they all, in the end, want to preserve their statehood in relation to other states. One of Kissinger’s observations is that this is not at all the case. China for example sees itself as the premier culture on Earth and lives within the present Westphalian system of nations for reasons of practical accommodation. The Middle East, and by extension the whole of the Islamic World, sees itself as the only legitimate and righteous inheritor of the entire world order! In Islam the Westphalian matrix is the most jumbled with nations like Saudi Arabia and Iran accommodating it for practical reasons, while others, particularly non-state actors, try actively to undermine it leaving thousands dead in their wake. Sub-Saharan Africa (with the exception of South Africa) is yet another story. The nations there are the result of recently (20th century) abandoned colonialism and though nominally nations, are riddled with leadership interested in little more than their own personal aggrandizement. Failed or failing states cannot participate coherently in such world order as presently exists let alone contribute to something better. Kissinger’s first main point is that it is a mistake to continue treating with these nations AS IF they implicitly accepted the Westphalian context of nation states all “getting along”. This doesn’t mean we can stop working with these nations, but we have to be smarter about it and stop assuming they want merely to be like the Western world. Kissinger’s other main point is that technology, the global issues it has already wrought (climate change for example), and the issues that have yet to fully manifest (mostly related to computers and biology), are stressing the existing system to a degree unparalleled in history. One is left with the impression that it is already too late. The existing “world order” has already become too inflexible, its momentum too great, to apply, and ENFORCE, global solutions to global issues. Kissinger doesn’t say disaster is inevitable, but I do not see how any other conclusion is possible. In roughly the middle of the book Kissinger spends some time on the global effect of U.S. foreign policy from Theodore Roosevelt to Barrack Obama. He makes a number of observations here about the difference between the historical U.S. approach to foreign policy versus European statecraft, and notes of course that the foreign policy pendulum in the United States has shifted from episodic engagement to continuous engagement following the second world war. The force of U.S. engagement is derived from both economic and military power and importantly our willingness to use the latter now and then, though as it turns out mostly with inconclusive results. I notice he elides his own personal involvement in what might be termed “nations behaving badly” back in the 1970s and 1980s, but aside from this lacuna his point, his final point in the whole book, is that whatever else it does, the United States cannot now withdraw from the world order, even such as it is, without destabilizing everything! This book was written in 2014 the middle of Obama’s second term. I wonder what he thinks now? This is a book about how and why Donald Trump won the 2016 U.S. presidential election. Primarily it all comes down to three people: Trump himself, his instincts regarding his base, Bob Mercer (and his daughter) and his money, and Steve Bannon, the central figure whose decades long ambition to see the United States rid itself of anything smacking of a global brotherhood of nations (not to mention a world at peace) manifest itself in all of his projects effectively harnessed to elect Donald Trump. This is a book about Steve Bannon. There is a bit of biographical history, but nothing fully explains his turn to virulent nationalism made in his younger years. Events, like the 1979 Iran hostage crisis, that precipitated the turn yes, but many people were exposed to that and did not become xenophobes. Green gives us Bannon’s fascination with fringe 19th century philosophers coupled with wide reading of history. Bannon became the quintessential postmodernist man. No truth was worth preserving if it stood against a political victory for his views however intolerant and hurtful they might be. Bannon had been acting on the far right political fringe long before he met Trump. In the early stages of the 2016 election cycle he wasn’t particularly a Trump fan. But he came to see Trump as the closest thing to a manifestation of his (Bannon) vision of an intolerant, isolated America, and as Bannon saw his opportunity he took it and carried it through. Evil people are not, after all, automatically dumb. By the time the campaign really got going in early 2016, Bannon had four institutions under his control and/or guidance, all directed toward defeating Hillary Clinton and elevating Donald Trump. To be sure, Hillary was not the best Democrat to go against Trump. This had much to do with various corruption scandals (some legitimate, many made up by her haters since the 1990s) in which she and her husband were constantly embroiled. None of this would have mattered as much against any opponent other than Trump because the others would have distanced themselves from Bannon’s lies (every national politician has some corruption in their background somewhere) while Trump embraced and amplified them. No one other than Bannon realized how much a significant cohort of long-time Democrats disliked Hillary in particular. Bannon had a four pillar strategy, all funded by Mercer money. First, Breitbart News, the pro-Trump propaganda machine. Second, the Government Accountability Institute, presided over by Peter Schweizer author of the devastating “Clinton Cash”. The GAI was Bannon’s anti-Clinton machine and to Bannon’s advantage there was real dirt to be found. Third was a film company Glittering Steel, a minor player in the drama, and the fourth Cambridge Analytica whose knowledge of tens of millions of racists and xenophobes, Trump’s base, fed exploitable data to the other three pillars. These four organizations together brought Hillary down, her own campaign utterly failing to realize how much anti-Clinton invective existed among democratic voters, with Comey’s revelation in the closing days of the campaign putting the final nail in her coffin. Like Wolff’s “Fire and Fury” and Woodward’s “Fear”, “Devil’s Bargain” is a superb piece of investigative journalism. But it is more. It is a dissection of a political campaign achieving its ends mostly by ignoring truth and firing up tens of millions of Americans whose focus in life is to hate anyone who isn’t them. It details a strategy that has to be the envy of every autocrat on the planet. Usually I begin these book reviews with a little extra commentary; some examination of a philosophical issue I thought inappropriate to go into in the book review itself. I’m sure there are such issues in Sellars’ work for me, but having read these two books I am not confident enough in what Sellars was talking about to say very much. Sellars is certainly no antirealist, but I’m not sure he would call himself a realist (in Searle’s terms) either. He is one of the premier philosophers of logic and language in the thread leading from the Vienna circle through Wittgenstein, and on to Quine, Tarski, and Sellars himself. Perhaps we could call him a “linguistic realist” as he seems to believe that it is through the acquisition of language that a human child comes to distinguish joints in the world. For Sellars, perception (the five senses) occurs in pre-linguistic children but is at that point inchoate, a jumble of impressions in which nothing is clearly distinguished from anything else. Perhaps the first “joint in the world” the child recognizes as such is its own mother. If my reading of Sellars is correct, the child first distinguishes its mother from the rest of the world when it first connects the word “mom” (even if it cannot yet vocalize it) to that object. In other words, for the child to recognize its own mother, in an intellectual sense, it must be able to “think linguistically”. I have a big problem with this idea because only humans have such abstract language and yet animals, adult higher animals, clearly have a very sophisticated ability to discriminate “joints in the world”. A dog could not catch a Frisbee if it did not, and even a chicken knows enough to associate dark cool places with the prospect of more juicy insects and so on. Could a philosopher as brilliant as Sellars have missed such an obvious counter example to his connection between language and perception? I wouldn’t think so… It is possible I am interpreting him incorrectly. I have never before given such a low rating to a book by a professional philosopher of Sellars’ reputation. I also wonder about the value of reviewing a 40 year-old book whose author has long since passed on. But for the sake of my few followers I’ll deliver here, keeping it short. Sellars says his analysis of language, reference, meaning, and truth (in descending order the main topics of this book) is needed to formulate a consistent (contradiction-free and perspicacious) naturalistic ontology. He takes the truth of naturalism for granted (most philosophers do these days) and while recognizing the term applies mainly to scientific method uses it as a stand-in for “materialism” throughout. I’m being rather loose with the word ‘throughout’ as he barely mentions naturalism or ontology (though repeatedly rejecting anything Platonic) beyond the book’s introduction! In point of fact, Sellars never directly connects up his theory of reference to ontology, other than insisting that only a nominalism can be right. Sellars’ focus is on the role words (names, descriptions, declarations) play in language. 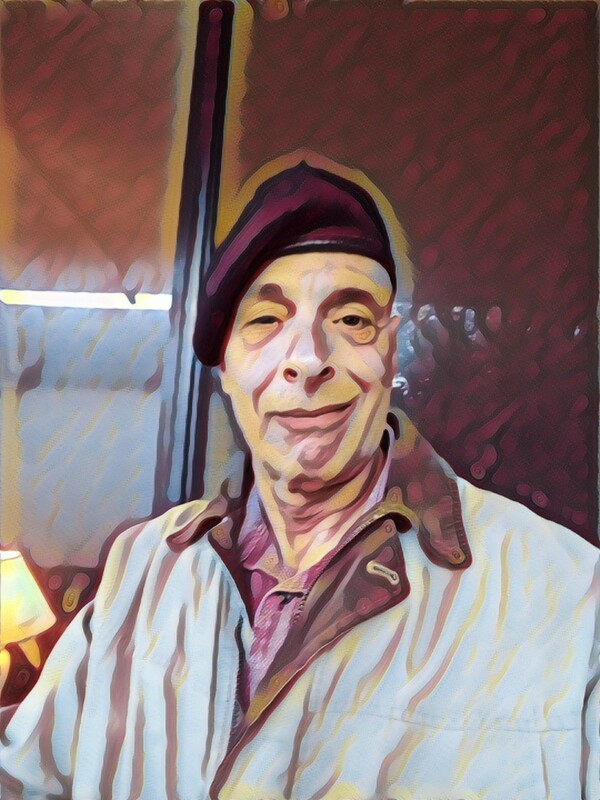 His analysis proceeds through illustrations in formal logic which, while not individually complex, become overwhelming as they go on page after page. I’m guessing a full half the text of the book consists of these formal statements. Overall the book is based on a series of talks. He says in his introduction that the first three chapters are straight from the talks, while the remainder of the book is more heavily edited to make the whole work come together. Yet the last two chapters of the book are a series of exchanges (unedited correspondence) he had with another philosopher and the book ends following the last of these. He does not ever conclude by summarizing anything. Indeed in the middle of the book there is another page of commentary (from a philosopher not named) criticizing Sellars’ whole approach. He is surely brave to put this in. Nowhere does he respond to this critique, and in point of fact, at least in my opinion, the critic’s approach more sense than Sellars’ view! I got into this book because Terry Horgan (“Austere Realism” see my review) mentions him a lot and it strikes me that Horgan’s view of how language works, what makes ordinary statements true or meaningful, is derived from Sellars’ work. Horgan however (right or wrong) produces the summary, a synthesis of language’s relation to ontology, with which Sellars should have ended this book. Having read this, do I understand how Sellars links language to meaning and truth? Yes if vaguely. What about ontology as such? No, not at all. This is my second review of a Sellars book (see “Naturalism and Ontology” also reviewed). I have the same problem here I had with the other. Like that other book, this one is something of a collection of separate essays on the same theme; the relation of language to action, thought, and the correspondence between perception and the mind-independent world. A carefully crafted collection of related essays on the title’s subject, it is nevertheless very difficult to grasp what Sellars is trying to say overall. To my mind this is a stylistic problem and I imagine that students of Sellars familiar with more of his ideas generally will get much more out of this than did I. We are all used to the mechanism of “flashbacks” in novels. But imagine a novel in which a first level of flashback results in yet another deeper flashback and then one more. When the author returns from the last flashback where is the reader dropped off? One level up? Two? Or back to the original story thread? In every chapter of this book Sellars begins with a brief statement of his intent and then, before explicating it more fully, informs the reader that certain preliminaries must be taken care of first. Such preliminaries end up nesting to two or more levels and (along with covering various objections and alternatives) occupy 90% of the chapter’s material. By the time Sellars gets back to the main thread, not only am I lost, but I come away with the suspicion that some of those preliminaries are used to introduce definitions and points of view, themselves often controversial, on which his final theses come to hang. None of this confusion on my part has to do with disagreements in viewpoint. I read a lot of philosophers with whom I disagree but I understand nevertheless what claims they are making and arguments for those claims. From this book, and the other is the same, I come away understanding certain points of detail but not, overall, what Sellars is trying to say about his subject. Yes I get that Sellars believes the correspondence between perception and the mind-independent world, our capacity to discriminate “one something from another” goes through language. Yes I get that our “understanding”, our very ability to have thoughts “about” something, depends on language, but I have yet to figure out what sorts of ontological commitments he draws from this approach. Sellars is clearly one of the great thinkers in the century-long thread of “linguistic analysis” in philosophy, but while a great thinker, he is not a perspicacious writer.